Alana Chernila, mother of two and author of The Homemade Pantry: 101 Foods You Can Stop Buying & Start Making, visited Longfellow Books in Portland for a reading not long ago. 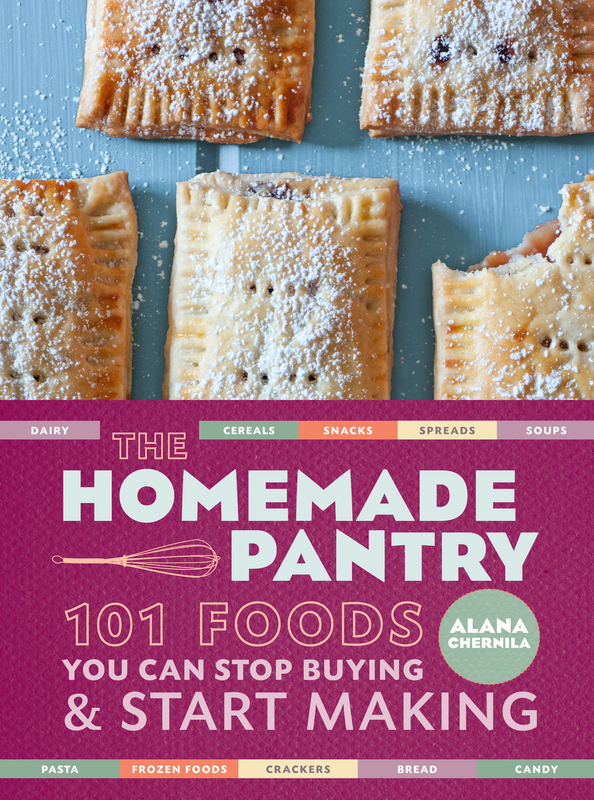 Alana’s gorgeous cookbook is chock full of simple recipes for breads, cheeses, snacks, pasta, and more delicious everyday dishes. No wonder she chose ricotta to start—there are only 4 simple ingredients in the recipe (whole milk, lemon juice, heavy cream, and kosher salt)—and the results are so satisfying. All you need is a little patience and time to prepare. Make this ricotta for extra special stuffed shells or lasagna. After having success with ricotta cheese, MP decided to try the basic yellow cake recipe for a friend’s birthday. CP#1 deemed this the best cake batter she’s ever tasted, and MP would agree. 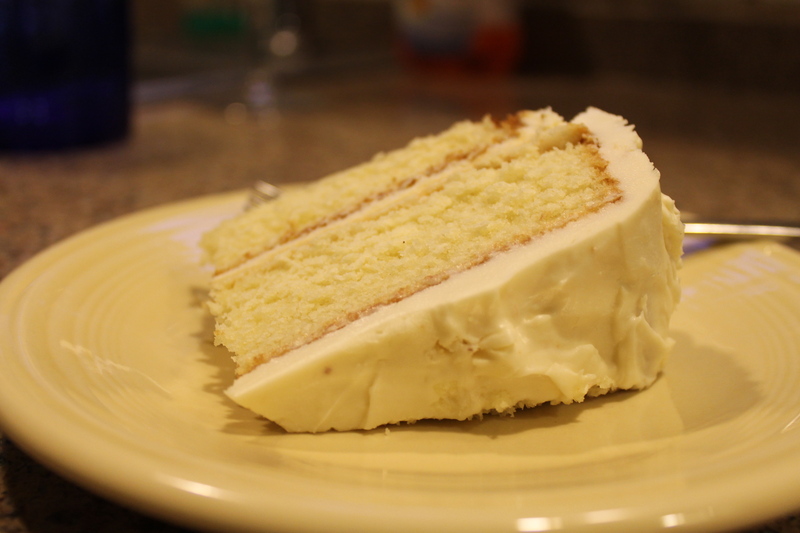 The cake itself is dense and delicious… so much better than boxed! There’s nothing better than celebrating with a homemade cake. 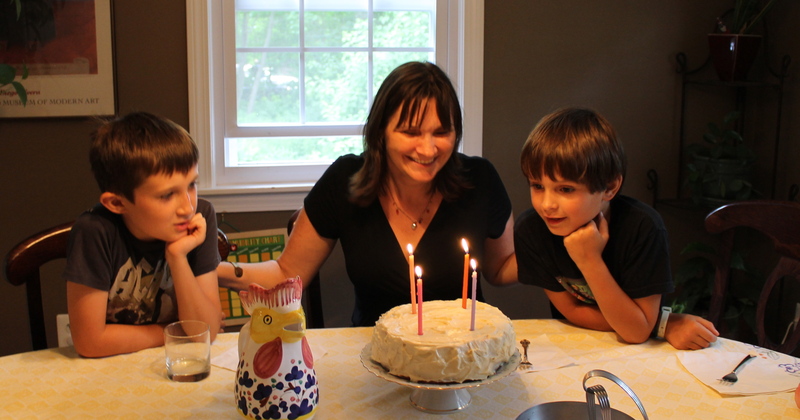 We used Alana’s tangy cream cheese frosting for our cake. CP#1 selected cornbread for our last test. This simple recipe features maple syrup as a sweetener rather than sugar (love that). MP was able to make the recipe in 30 minutes. We all enjoyed warm cornbread for dinner to accompany our barbecued chicken and beans. Alana calls cornbread, “safety in a pan,” and she’s so right. This is a recipe you can count on for comfort every time you serve it. 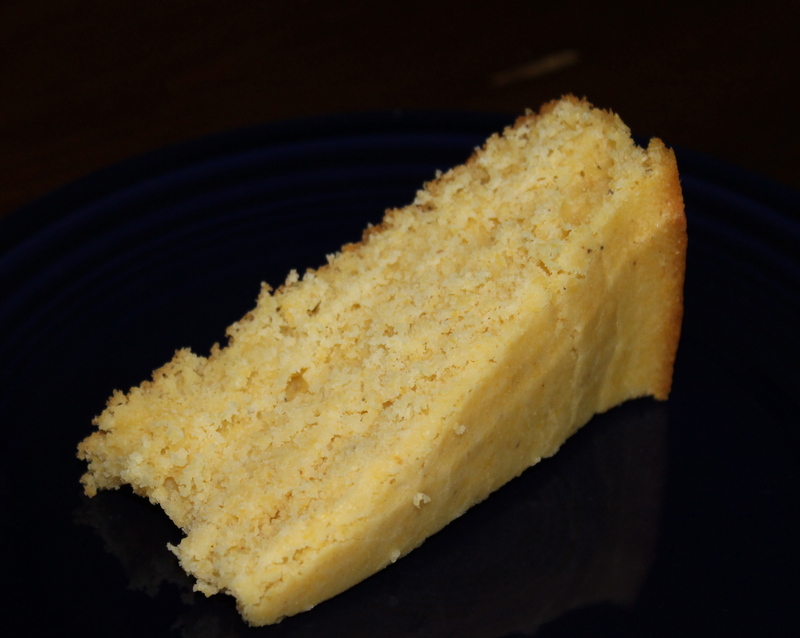 An easy and delicious cornbread for summer barbecues. If you couldn’t tell already, MP adores this cookbook. She can’t wait to try making graham crackers, sandwich bread, mozzarella, peanut butter cups (yes!) and yogurt with the kids. To learn more about author Alana Chernila, visit her blog, Eating from the Ground Up. Hey Jen – Sounds delicious! All of it. Glad to see that you are having a good summer. Miss you, Bodi! We’ll make you something special next time you’re in Maine. The cookbook sounds delicious. We have started making some more of our food, but finding time can be challenging. I think we just have to be selective! Gail, I completely agree. Cooking should be fun! I aim to make one or two new recipes a week… always depending on our schedule. One day I’ll win one of these giveaways – I will sure love to win this one. My family, especially my husband would be one happy man if I make if this cornbread and homemade cake! ooooh! would love to win this! looks like a great book! on July 12, 2012 at 2:58 pm | Reply Morrigan B. This looks like a great cookbook! I’m always looking for new ideas- I’ll definitely have to check this one out! Another great giveaway. This book sounds amazing. I’ve got yogurt down, so a few more pantry basics would be great to learn. I’d love to add this to my cookbook collection! Thanks for the giveaway! You had me at cornbread. Our family would LOVE to have this in our kitchen. thank you for the offer. Tracey, if you don’t win, I’ll happily hand deliver you a cornbread! This would be such a fun cookbook to win!!! on July 13, 2012 at 1:30 pm | Reply Joan O.
I’ve had my eye on this one and it’s on my wish list. What fun it would be to win one. You baked a beautiful cake and the cornbread looks good too. This book sounds incredible!! I would LOVE to try out those recipes!!!!! This book sounds great. I’ve been avoiding mixes for year, but there’s always more to learn. 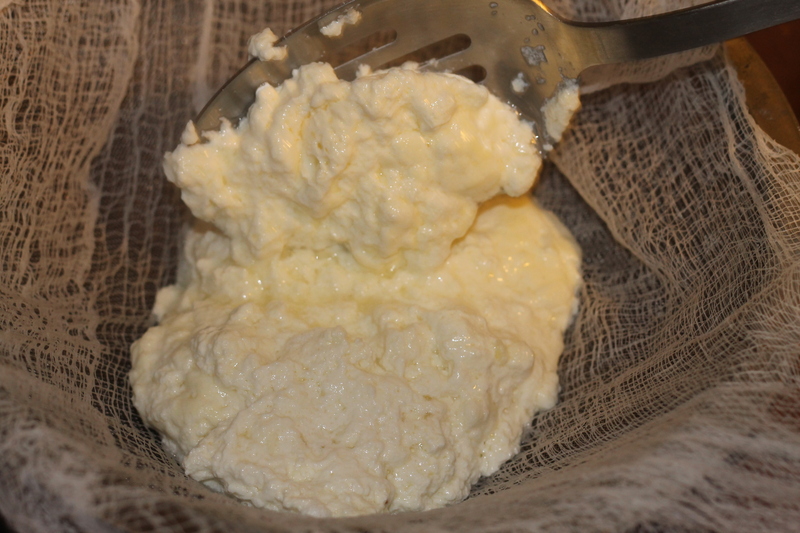 Ricotta — yes! Sounds amazing! I love making everything homemade whenever possible. The cookbook sounds delicious, thanks! I love the idea of being able to make the basics! 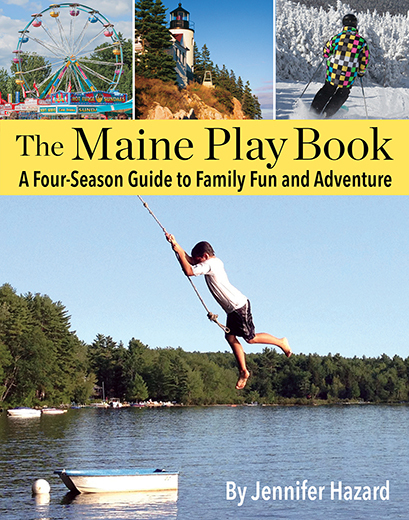 on July 16, 2012 at 1:13 pm | Reply Rachel C.
Would love this book! need advice to fill up the pantry with goodies not aren’t just jam.